Throughout my entire life, I have been a rocker chick. My tastes may have drifted in and out of various genres, loving all types of music, by my heart lies in the sweet sounds of classic rock, of guitar-slinging musicians and poetic lyrics that far outweigh what is often offered on modern mainstream radio. In the past year, I’ve delved much deeper in the county realm, as I discover how rock and roll it can be. And that’s how I discovered Zac Brown Band – a group that is as much rock as country, a musical chameleon that can change and morph into just about any style on stage. I became, shall we say, a little obsessed with how simple, yet how complicated, some of their songs were. Lyrics that seemed to be poignant and positive and accompanying layers of music with hooks that I could not shake from my head. When the band put Hartford on its list of “Jekyll + Hyde” tour dates this summer, I knew I would beg, borrow or steal to land in that audience on June 6. 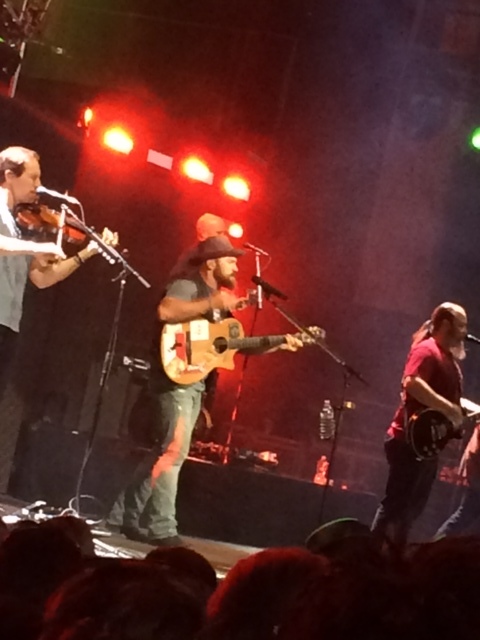 Luckily, my writing gigs allow me the chance to see concerts – as I often review them – so I was lucky to be at the Xfinity Theatre on Saturday to check out what has become one of my all-time favorite bands. When Zac and company took the stage and launched into “Homegrown,” off its new album, the audience was clearly ready to join in the musical adventure. The band – which features eight core musicians – was set up on a two-tiered stage set with a walkway jutting into the general admission pit. The percussion and horn section was not hidden in the back, as in a standard concert set-up, but showcased on a higher level to be seen in its full glory. By the impressive structure, and large video screens within it, fans in every corner of the arena could appreciate the visuals. 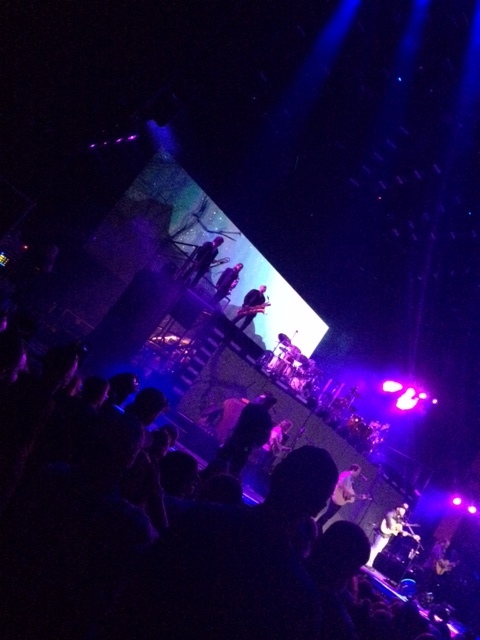 But beyond the flashy visuals was the completely organic, audio pleasure: Musical surprises tucked into the set list. Led Zeppelin’s “Kashmir” leading into Charlie Daniels Band’s “Devil Went Down to Georgia.” Van Morrison’s “Into the Mystic,” a traditional mash-up with the band’s own “Free.” The Beatles’ “Let it Be,” performed in the vein it was intended. Queen’s “Bohemian Rhapsody,” an impressive undertaking yet the musicians’ paid homage to the classic. And The Red Hot Chili Peppers’ “Under the Bridge,” an alternative throw-back that was unexpected to the audience. 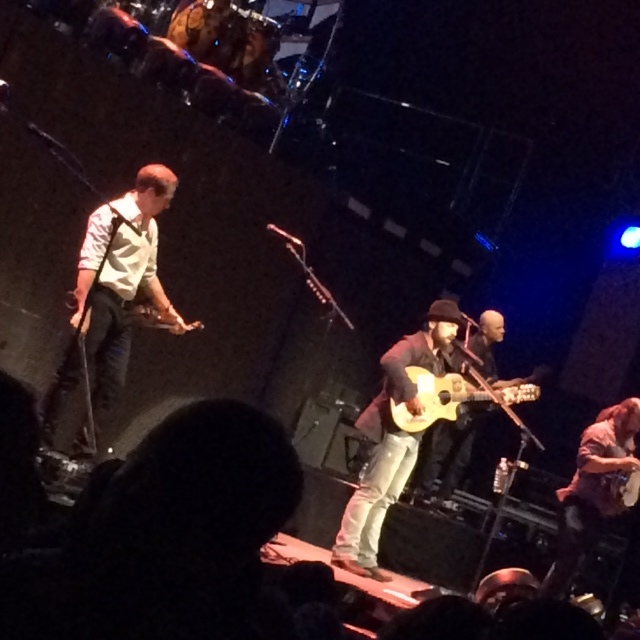 Zac Brown Band is, in my opinion, one of the world’s best rock cover bands. Except you still appreciate them for their own twist on each cover. 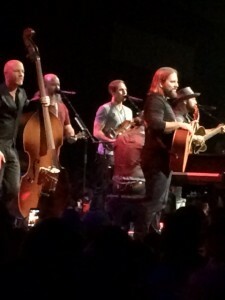 However, Zac Brown Band is not just about performing other’s classics: The group’s own music is just as notable. The band played a bunch of tracks from “Jekyll + Hyde,” including the breezy “Loving You Easy,” as well as “Bittersweet,” “Castaway” “Tomorrow Never Comes,” and “Dress Blues,” the Jason Isbell song honoring our military, which featured a poignant, patriotic moment where a U.S. Marine came out on stage to salute. The encores lasted deep into the night, ending two and a half hours of tunes, as the band pulled out many of its greatest hits for a sing-a-long with thousands of fans reaching up onto the dark lawn. “Knee Deep,” with its happy summer lyrics, pleased the Parrottheads, but the band turned the mood on its side with the next track, one appealing to the rock contingent: the heavy-hitting “Heavy Is the Head,” the Chris Cornell duet on “Jekyll + Hyde,” which was a total treat since it had not appeared regularly on this tour’s set lists yet. Confetti cannons filled the night air with paper snow as the band ended the concert with its classic hit “Chicken Fried,” the perfect finale choice with its simple, homegrown life lessons, quotable lines that remind us to appreciate our blessings – musical and otherwise – on this planet. It is funny how it’s the little things in life that mean the most, like a great concert by a talented band under the stars outside on a Saturday night. The “Jekyll + Hyde” tour is in full swing this summer, and if you get a chance to grab a ticket, don’t hesitate. It’s worth every penny. Kellie Lambert is a freelance writer who has been published in numerous publications in print and online. She has been writing about the Connecticut music scene for more than two decades. She has a weekly music column in the Waterbury, Conn. newspaper, The Republican-American, and a weekly entertainment column in the Observer newspapers, in Bristol and Southington, Conn. She blogs about her life at thepeapodblog.wordpress.com, and can be found on Twitter @kellie3lambert.